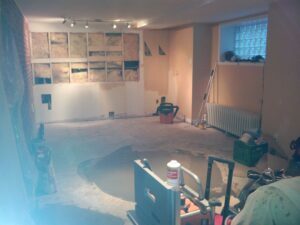 Basements | Odd Job Handyman Services, Inc. 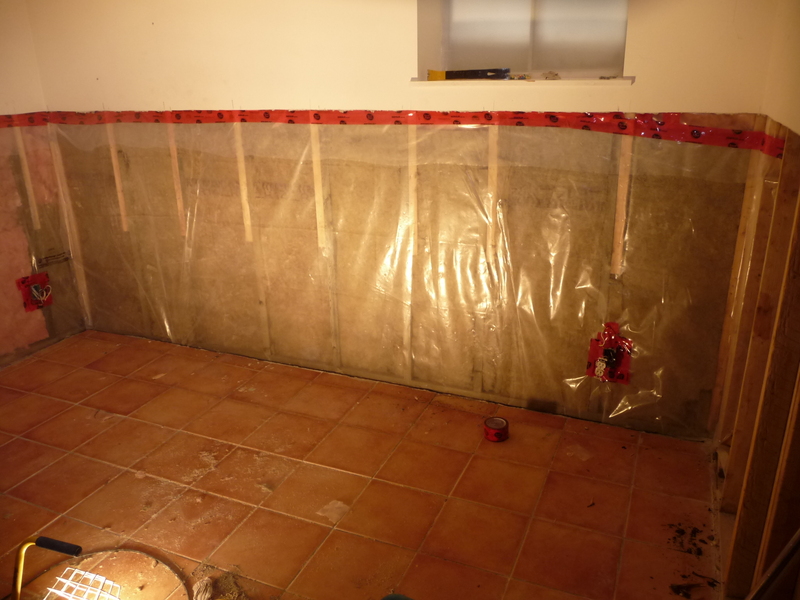 Basement flooding not only ruins whatever belongings you might have stored downstairs, but it also can cause rot and decay in the drywall, insulation and wood that make up the walls. That’s what we found inside the walls at this house when we came to replace the drywall of a guest bedroom. 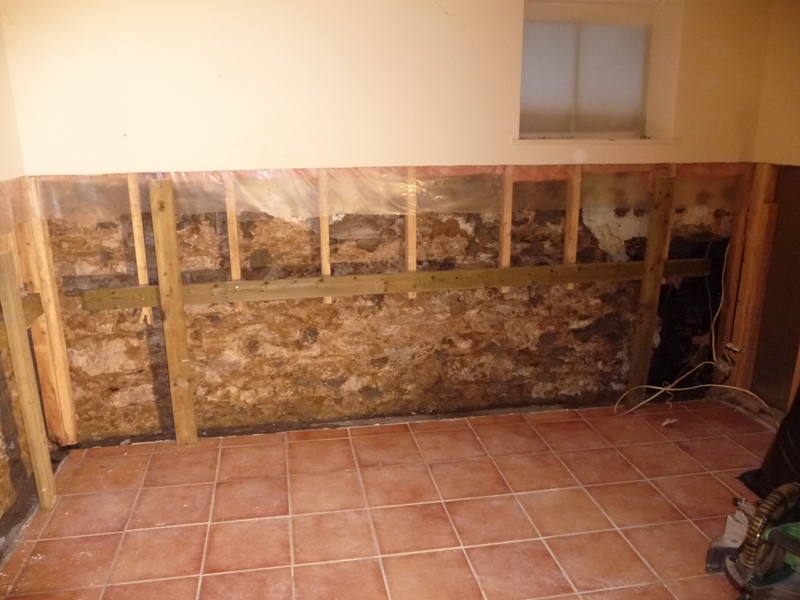 Gutting the mould and rot from the basement bedroom walls. 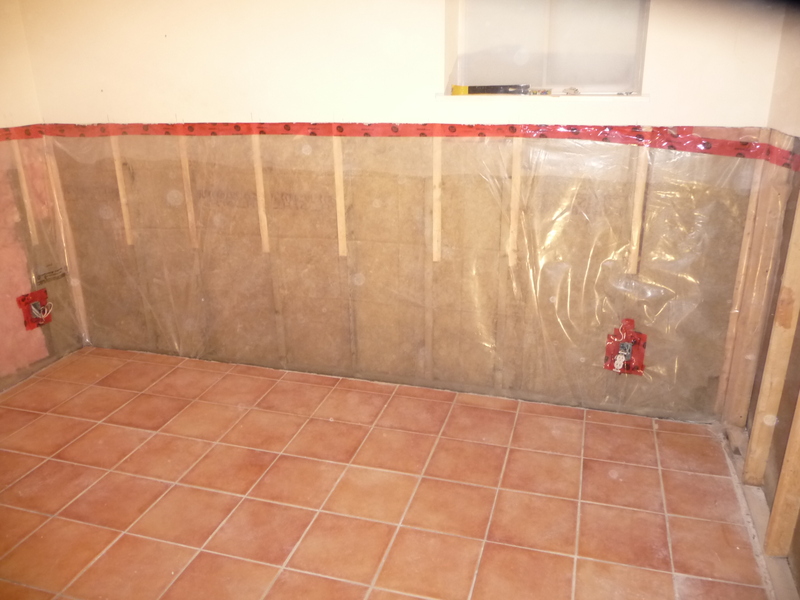 The walls have been repair, insulated, and taped back up. 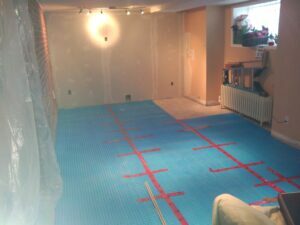 Ready for drywalling. Floor cleaned up and good as new. The seam is invisible where we repaired the lower half of these walls. Painted and trimmed out. 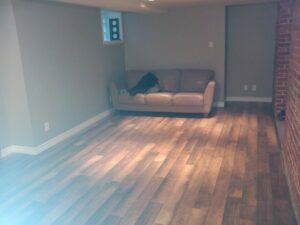 Check out more photos of our basement adventures, and take a look at our service list for basements and garages. 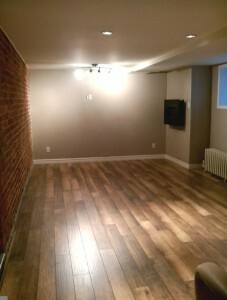 Fill out our online “book-a-handyman” form and we will help you with all of your downstairs projects. 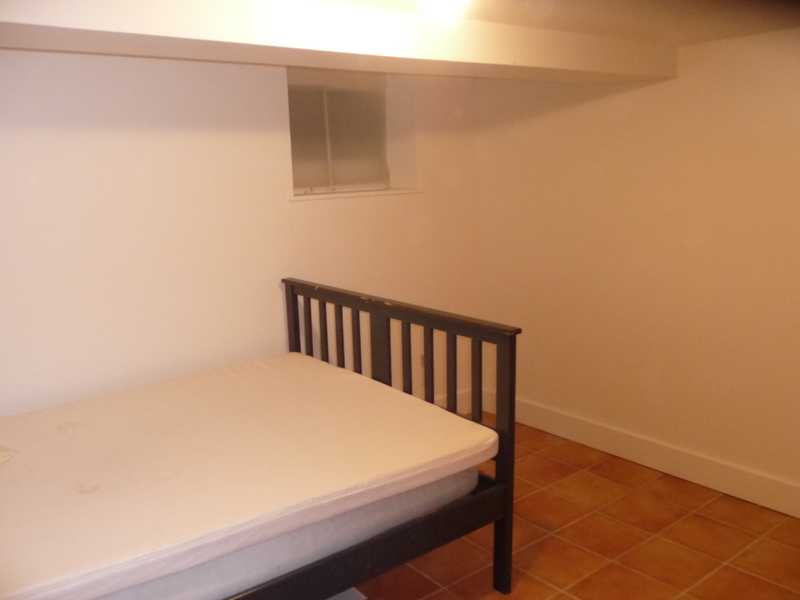 Basements and garages are often considered ‘extra’ spaces in the home. They serve a number of purposes, and their potential is virtually limitless. They can serve as mere storage rooms or fully-equipped recreation rooms that everyone in your family can enjoy. Storage – Cabinetry, wall shelving, drawers, framing small rooms. Painting – Walls, floors, doors, ceilings. Concrete repair – Hairline cracks? We’ll take care of any and all small concrete repairs. Call (416) 520-1161 or book our team online for repairs, maintenance and, if you’re ready for it, full-scale updates.